After last weeks strong opener, this weeks episode of Doctor Who had a hell of a lot to live up to. Plus Moffat could only stay good for so long right? He had to mess it up at some point surely? Luckily, that wasn’t this week. This week he remained of top form, managing to throw some funny and heart wrenching moments at us, as well as some twists that were genuinely interesting and even a little surprising. Anyone tuning in expecting the wacky tank riding, guitar playing antics of the last episode might be disappointed as this grim episode was firmly dedicated to dialogue. And it was all the better for it. Perhaps the best moment in the episode were the scenes between The Doctor and Davros. Capaldi showed once again that he’s probably the best actor to have portrayed the Doctor, managing to convey a wide range of emotions, convincingly, in the time it would have taken David Tennent to just have a little cry. And how ever much I wanted to believe that Davros being nice was just a giant ruse I admit, for a moment I was foolishly suckered in. Credits where credits due Moffat, for a short time you convinced me that one of the most evil villains in the Doctor Who canon was a little bit nice. Of course he wasn’t though and it was all part of some evil plan to do something or other. But the scenes where I thought Davros was possibly an alright bloke were actually quite touching, almost to the point where once it was revealed he was evil all along I felt a little cheated. But for the most part it was some surprisingly decent Moffat writing. Also being surprisingly decent was Missy, who I could actually stand this time. I’d even go as far to say I enjoyed her being around. Another strong point was the comedy in the episode. Although being a particularly grim episode, the humorous moments were few and far between but what was there was good. The funny bits in a Moffat episode can go either way but this time the jokes hit their mark, the scene of Capaldi spinning around in Davros’ chair was especially hilarious and the buddy cop styling of Missy and Clara were great while they lasted. 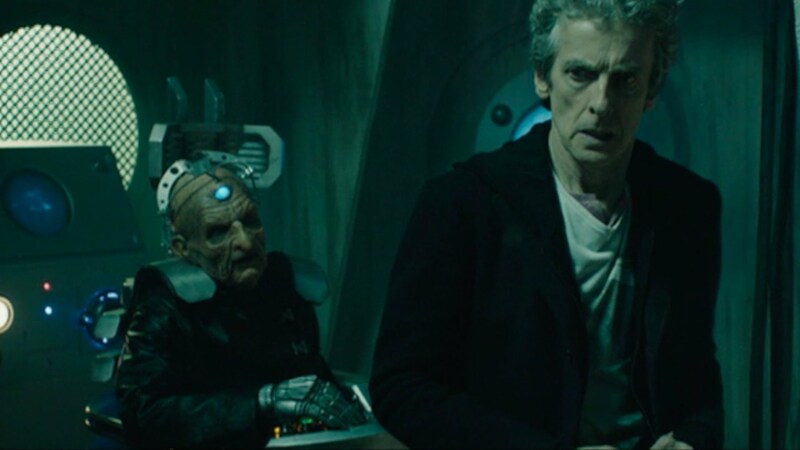 While Capaldi was again outstanding as the Doctor, and Michelle Gomez was great as Missy, special mention should definitely go to Julian Bleach for his portrayal of Davros. It must be pretty difficult to show that much emotion with that much make up and prosthetics covering you and for most of the episode he didn’t even have his eyes to emote with. And how cool was the look of Skaro? The brilliant special effects were matched with some pleasingly old school who-architecture topped off with some interesting direction by returning director Hettie Macdonald. Macdonald, who directed arguably the best episode of new-who ever with Blink, keeps things dark and grim with the Dalek sewers being particularly awesome. 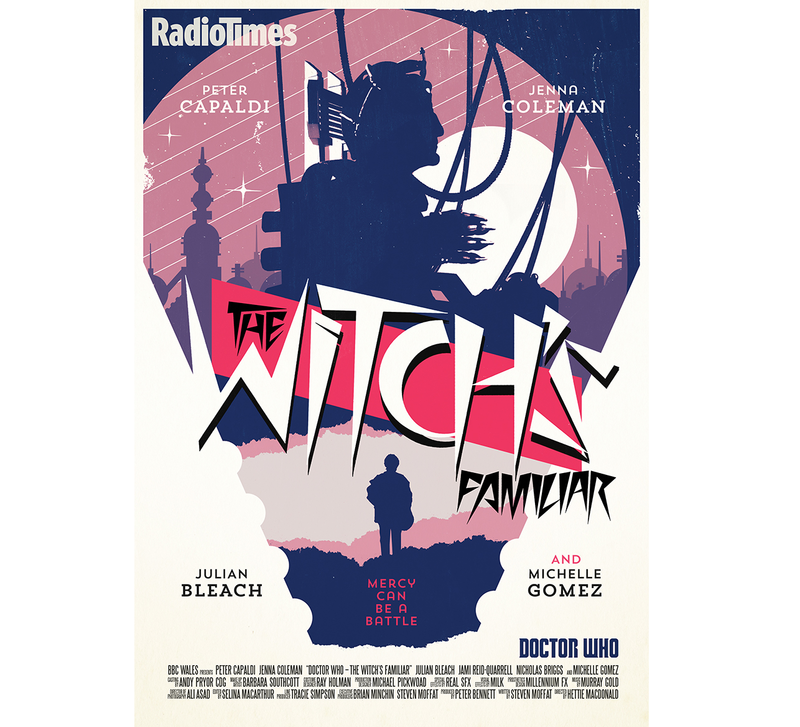 Doctor Who remained on top form this week with another fun and entertaining 45 minutes of TV. Maybe anyone expecting the wackiness of the Matt Smith era will be disappointed; this episode is a long way away from that time the Doctor and James Corden played football or saved the day with love or something (eugh). This episode is grim, deliberately paced and thoughtful. While this might be a little much for younger viewers (or most viewers and reports suggest) I thoroughly enjoyed it. And if the preview of next weeks is any indication, this won’t stop anytime soon.